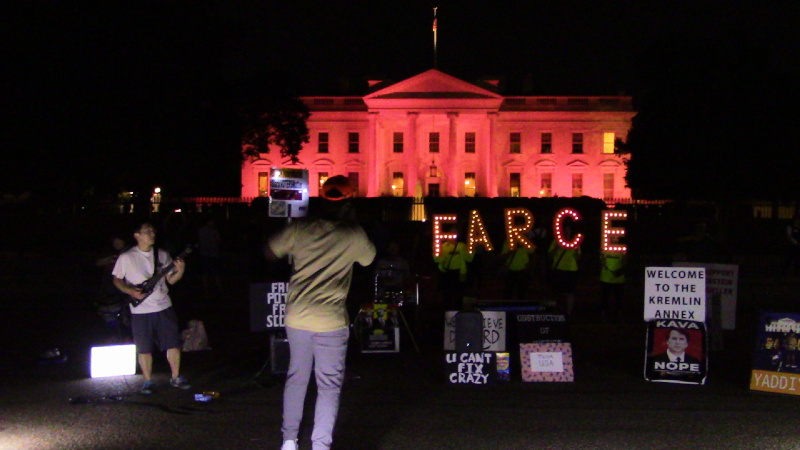 The 1st of October was the 78th evening of the "Kremlin Annex" protests at the White House demanding Trump be impeached. This time around, much of the focus was on Trump's SCOTUS nominee Brett Kavanaugh, with musical numbers such as "We Believe Christine," "No means No!" and even "99 bottles of beer on the all, Kavanaugh came to drink them all."